Television spinoffs are risky projects. But when you are creating a spinoff to the greatest drama series of all time, it makes it even riskier. When I first heard of the plans of a Breaking Bad spinoff featuring Bob Odenkirk’s character, Saul Goodman, I was highly skeptical. I was going to give it a chance, of course, but my hopes of it being a good show, nevermind anything close to Breaking Bad, were very low. But I will admit, I am very pleasantly surprised so far. This Breaking Bad prequel series takes place 6 years before Saul meets Walter White. Saul is shown in his early days as struggling attorney James McGill. McGill is a small-time lawyer who cannot seem to catch a break. He is getting minimal wages by the courthouse to take on cases that are seemingly unwinnable. He spends most of his time trying to con potential clients into hiring him as their lawyer. So far, the show has been a slow burn, which is how creator Vince Gilligan wants it. The slowness creates the tension that Gilligan wants. The story shifts from scene to scene slowly, but the show is so interesting, that it is almost hard to notice the sluggish pace. The pilot was methodically slow-paced, but ended with a great cliffhanger setting up a tremendous second episode. 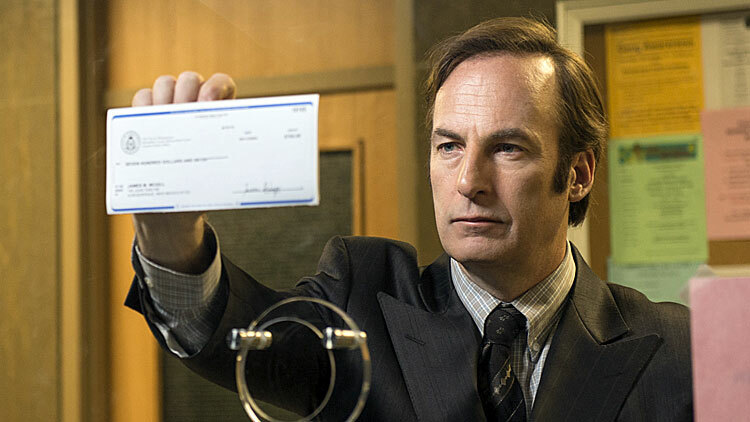 Fans that are familiar with Saul’s character might think that Better Call Saul is a comedy. This is not the case at all, while there are some comedic moments; this show is a drama all the way. Breaking Bad fans will love the opening to the series, as we get a glimpse of what became of Saul after the events of Breaking Bad ended. Throughout the first few episodes we also get to see some familiar faces, and there will be more to come. Don’t get me wrong, the show will never be the masterpiece that Breaking Bad was, it’s just not possible. But Gilligan appears to have hit on something here. More great characters with gripping stories, coming from great writers. The interesting question with Better Call Saul is what happened to Jimmy McGill that forced him to transform himself into the ruthless, hardened, Saul Goodman? This series will explore that transformation, and I for one can’t wait to see that story unfold. Better Call Saul is highly recommended and airs Monday nights at 10 on AMC. Do you have any questions about TV? Email me at BillsTVTalk@gmail.com. I will answer all of your questions and will feature some of the questions I receive in a future column. Follow Bill on Twitter @TVNewsandNotes and on Facebook at TVNewsandNotes for daily up-to-the-minute TV news and discussion.